The National Blood Service in Russia assures the supply of high quality blood to medical institutions. This public entity coordinates blood centers all over Russia, making sure the blood donation process, including transportation and storage, is performed correctly. In addition, it assures the proper use of blood components and preparations. One important part of the blood donation process is collecting data about the donor. The medical assistant must enter pertinent information about the donor and the quantity and quality of the blood collected in an electronic database. In the past, each region of Russia handled its territory’s database separately from the others. However, to assure quality control throughout the country, the National Blood Service determined that these records should be available to all regions. An automated system needed to be created in order to allow the entire work cycle to be kept under control. Data capture systems developer, system integrator and Datalogic partner Infotech & Service, recommended that QuickScan I scanners be used on all the National Blood Service workstations throughout the cycle, from the registration of a new donor to the issue of plasma and blood to patients. Besides its high performance and reliability, the characteristics of the Quickscan I scanner that really attracted the National Blood Service’s attention were its unique imaging technology for image capture and capability of collecting data at any scan angle. Another distinguishing characteristic of the Quickscan I scanner is Datalogic’s patented Green Spot technology. This good-read indicator improves user feedback by projecting a green spot directly on the code just read. This visual confirmation benefits healthcare facilities in particular, as continuous beeping noises would disturb patients. Today, thanks to QuickScan I scanners, all of the required donor and blood data is automatically entered into a single electronic database. The inventory process and donor material tracking occur in real time, allowing quick interaction between blood transfusion facilities and hospitals. In addition, QuickScan I scanners accurately identify blood containers and associate them with their donors. Blood transport tracking is performed by reading the special labels that contain information about the blood type and donation serial number. 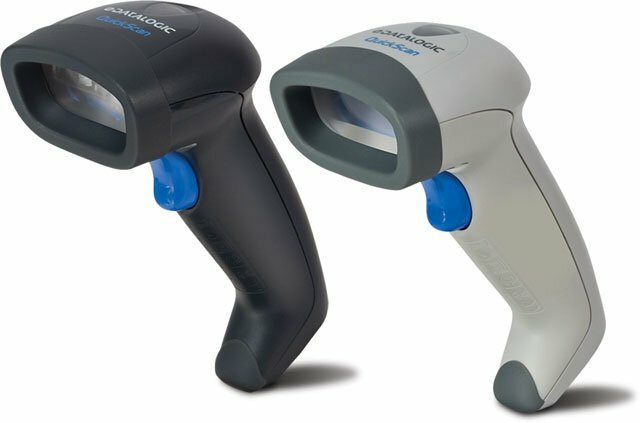 For assistance finding the right Datalogic scanner for your application, contact us at BarcodesInc.